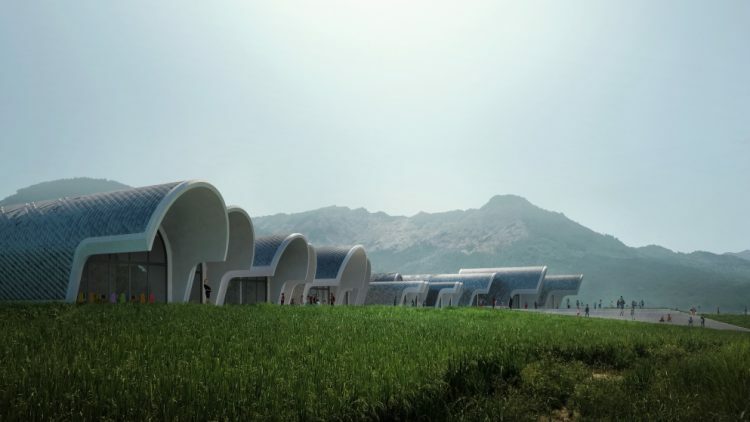 Established by Jinggan Yu, president of the College of the Arts in Jiangxi, the Lushan Primary School combines his work as an educator with his passion for the built environment. 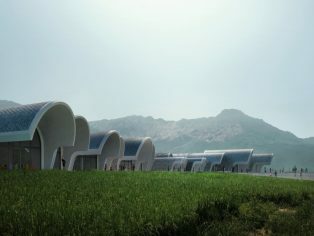 In addition to his academic work at the College of the Arts, Yu is an architect, designer and painter. Born in Jiangxi, he established China’s first specialist interior design company, with over 2,000 branches in more than 500 cities across the country. 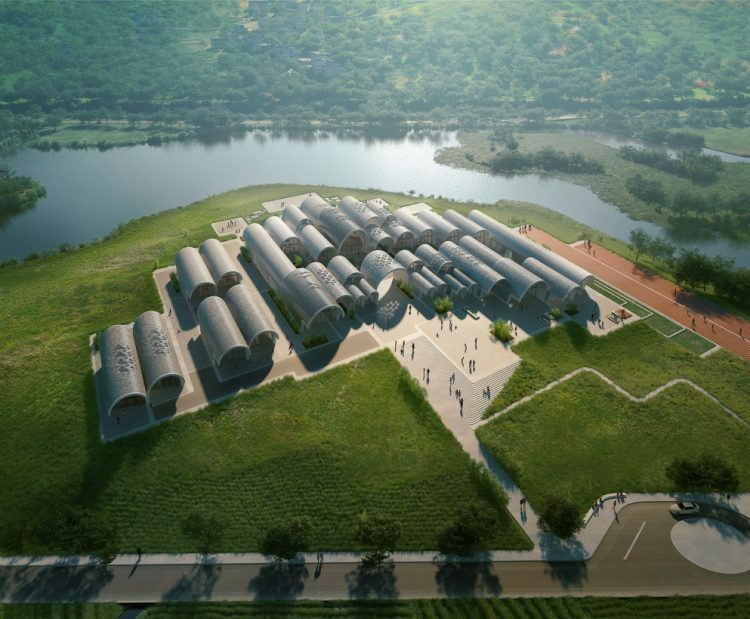 The Lushan Primary School design is defined by Yu’s vision to create opportunities for children in his hometown to grow and develop within an inspirational learning environment. Following his many years’ of experience as an educator and designer, Yu’s research of academic systems around the world has informed the school’s curriculum which combines the best methodologies of local and international systems, enabling children to freely develop and be happy in both mind and body. 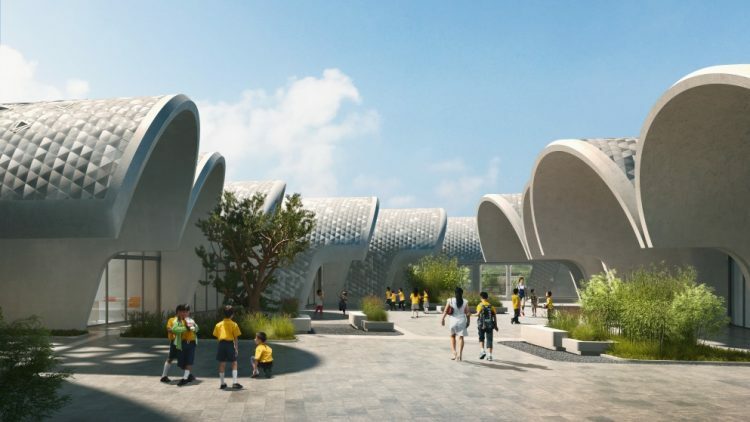 The design aims to create spaces that build relationships between the students, their teachers and their environment, establishing their life-long curiosity for exploration and discovery. Lushan Primary School will consist of the Foundation Stage for children aged 3 to 6 years (equivalent to kindergarten) and the Primary Stage for children 6 to 12 years of age. Connecting the Foundation Stage with the Primary School programme gives children and their families an easier transition between the two stages and ensures the best preparation for Primary School. With 14 pupils in each of the 9 classrooms, the total number of children attending the school will be approximately 120. Lushan Primary School will operate the Chinese National Curriculum and incorporate methodologies within the UK’s academic system with a focus on the arts and creative development. 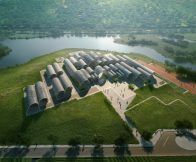 This approach will enable local children to continue their education in any Chinese secondary school, but also develop a broader understanding of the contemporary world.